Fresh Juices Are Fantastic! A statement directly from Stephen Blauer’s…“The Juicing Book” – and for good reason: They are packed with nutrients, fruit juices have cleansing power, vegetable juices provide restorative power, it’s a great way to meet the recommended five servings a day, and it offers the opportunity for “variety” in an efficient manner. Not to mention, juicing helps to predigest the nutrients that might otherwise get flushed down the toilet. A favorite juice…Wheatgrass (shown left) is probably the most nutritious and cleansing potent juice there is. It contains chlorophyll, amino acids, minerals, vitamins, and enzymes. 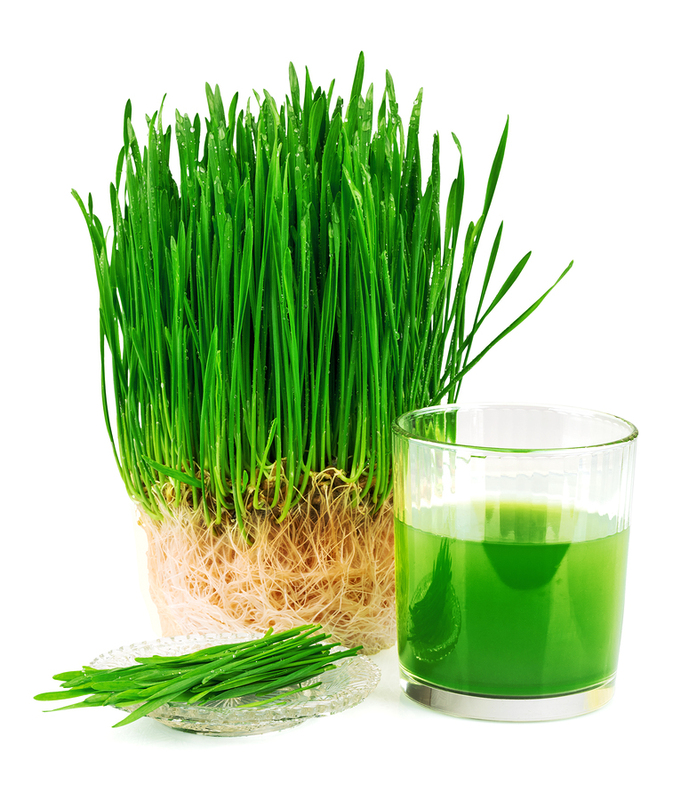 There are claims made about the benefits of wheatgrass that range from supplemental nutrition to unique curative properties. Anne Wigmore founder of the Hippocrates Health Institute – founded in 1968, and author of the “The Wheatgrass Book”, believed that wheatgrass, as a part of a raw food diet, would cleanse the body of toxins while providing a proper balance of nutrients as a whole food.